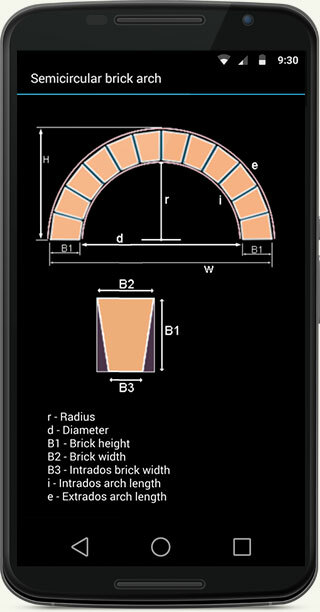 Using this app you can design and calculate brick archway for doors, windows, fireplace or simple arch and arc length. Perfect to anyone who needs to know how many bricks required to build an archway. You can calculate brick arch fireplace, brick arch in construction, wall arch or any arc length. 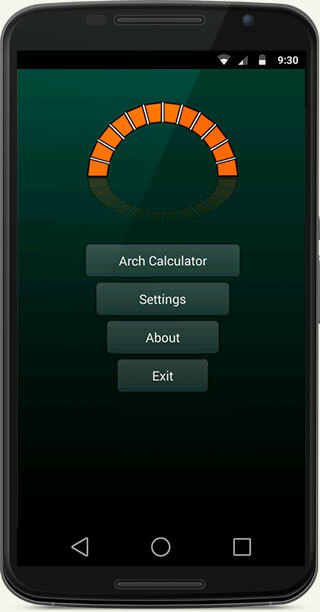 Brick archway calculator for home use is the best arch calculator. Detailed and accurate calculation of brick arch and arc length. Calculate number of bricks, arc length and angle fast and easy. 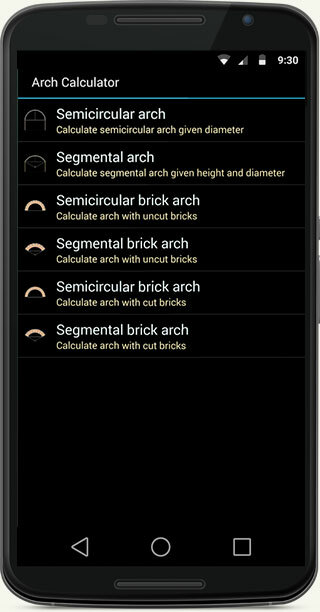 Calculate brick archway and simple arc length, each one with the best techniques of calculations. Simply to use: Just enter arch diameter and height, mortar joint size and size of the brick. 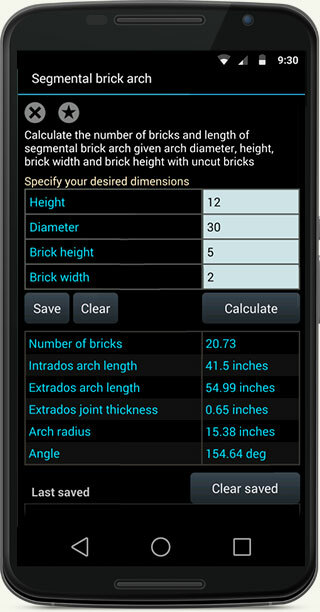 Then hit the calculate button, and the app will tell you the total amount of bricks required. Semicircular brick archway with uncut bricks. Segmental brick archway with uncut bricks. Semicircular brick archway with cut bricks. Segmental brick archway with cut bricks.